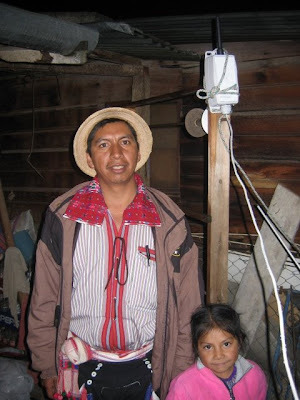 Rosendo Pablo Ramirez, 34, and his five-year-old daughter, Abeth, beside a wireless antenna/transmitter. 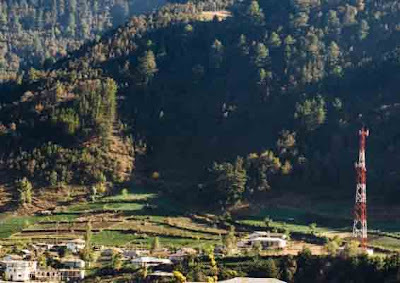 If there's a model of hope for the world's indigenous peoples, it is the town of Todos Santos Cuchumatnin in northwestern Guatemala. The Mayans who live here still wear their traditional clothing with pride and practice their traditional ceremonies and customs, and 95 percent of the population still speaks Mam. 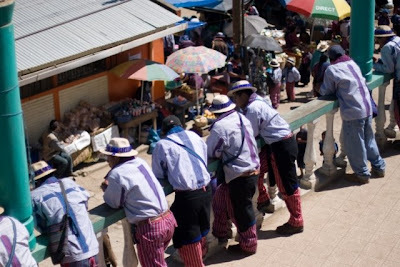 At the same time, the people of Todos Santos also participate vigorously in the larger society and have a thriving economy. The key to this indigenous success story is Radio Qman Txun, the town's community radio station. But in recent weeks police have confiscated equipment at four radio stations near Todos Santos. Radio Qman Txun, along with all the other community radio stations in Guatemala, is at extreme risk. The Guatemalan constitution guarantees to the right to community radio, but the national telecommunications law does not, and government forces are using the pretext of this law to shut down the stations and cut off this vital cultural lifeline. This assault on Mayan culture has to stop, and right now we have a unique chance to do it: a new telecommunications bill has been introduced in the Guatemalan Congress, and recent elections resulted in 94 (of 158) new members of Congress. We have a very short window of time to reach these new legislators before they are swamped with conflicting agendas. For the new bill to pass, 80 legislators must vote for the bill. Currently, we have the support of 24; we need 56 more.